Where Can I Find Mercedes-Benz CLA for Sale Near Me? Are you asking yourself, ‘where can I find new & used Mercedes-Benz CLA for sale near me?’ Mercedes-Benz of Boerne proudly offers an exceptional selection of new, used & certified pre-owned Mercedes-Benz CLA Coupes for you to browse and test drive near San Antonio, TX. WHY PICK THE Mercedes-Benz CLA? High-end driving has advanced, and with the CLA, so too has Mercedes-Benz. Come for the modern style and luxurious interior. Stay for outstanding productivity and user-friendly handling. Your hunt for the ideal luxury sedan just finished. Below the CLA’s hood pounds the soul of a road warrior. From navigating the open road to driving to the workplace, 208-horses powered by a turbo inline 4-cylinder powertrain are ready to take you on the adventure of your life. Don’t take our word for it. A life-altering test drive awaits. There’s a complete new universe of luxury driving getting ready for you inside the CLA. From the fabric to the incredible collection of luxurious solutions and extravagant comforts, the interior of the CLA defies description. Just make certain you’ve got sufficient time set aside for the test drive because the greatest challenge you’ll be facing is when the test drive is over. Come visit Mercedes-Benz of Boerne today to test drive a new, used, or Mercedes-Benz certified pre-owned Coupe near San Antonio, TX. 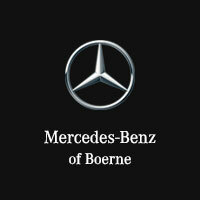 Our team of Mercedes-Benz professionals are ready to help you find the perfect vehicle. Search our stock online, visit our showroom, or call (844) 650-8056 to learn more. We look forward to serving you soon!